ARP's Camshaft Bolts deliver increased pre-load clamping force and assures positive timing gear register, ending camshaft timing worries. 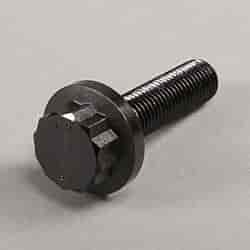 These bolts feature increased material strength that overcomes valve train harmonics and stress, an oversized bolt head flange for cam button retention and reduced socket head size to facilitate easy installation and removal. Includes appropriate fasteners for your application. Available in two versions; High-Performance and Pro Series. High-Performance Series: 180,000 psi tensile strength. Pro Series: 200,000 psi tensile strength. Does ARP 256-1001 fit your vehicle?